In this Dec. 21, 2017 photo, Doris Martinez receives supplies and water from municipal staff outside the City Hall in Morovis, Puerto Rico. U.S. Sen. Bill Nelson and U.S. Rep. Darren Soto are traveling to Puerto Rico Wednesday to get a firsthand look at the on-going recovery from the Sept. 20 hit by deadly and powerful Hurricane Maria. According to Nelson's office, the senator will return to Florida Wednesday night after meeting separately with Puerto Rico Gov. Ricardo Rossello and the media. Nelson is also slated to meet with members of the Puerto Rican community in the Osceola County Commission Chamber in Kissimmee on Thursday. 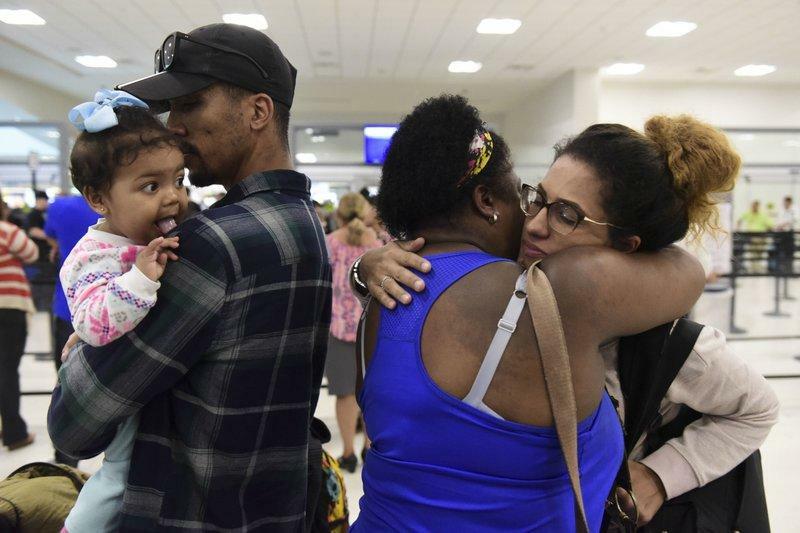 The Florida Division of Emergency Management has reported that more than 269,000 people have traveled from Puerto Rico to Florida in the past three months, but it is unknown how many are considered to have relocated from the Caribbean Island. 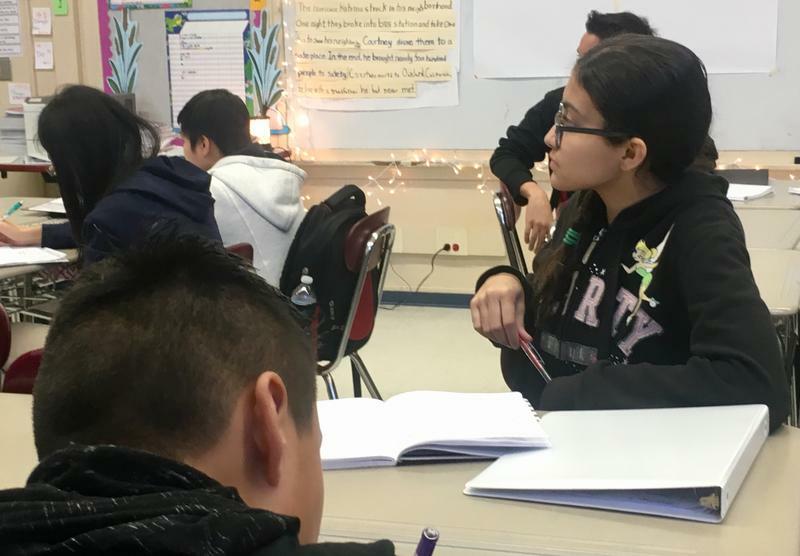 More than 10,000 Puerto Rican children have enrolled in Florida schools since the storm. The Federal Emergency Management Agency reports on its website that power has been restored to 65.4 percent of the unincorporated U.S. territory since Maria ravaged the U.S. territory. Cellular phone service is available to 96 percent of the island, while potable water is available to 86 percent of the island, which is down from nearly 91 percent a month ago. On Wednesday, Florida Gov. 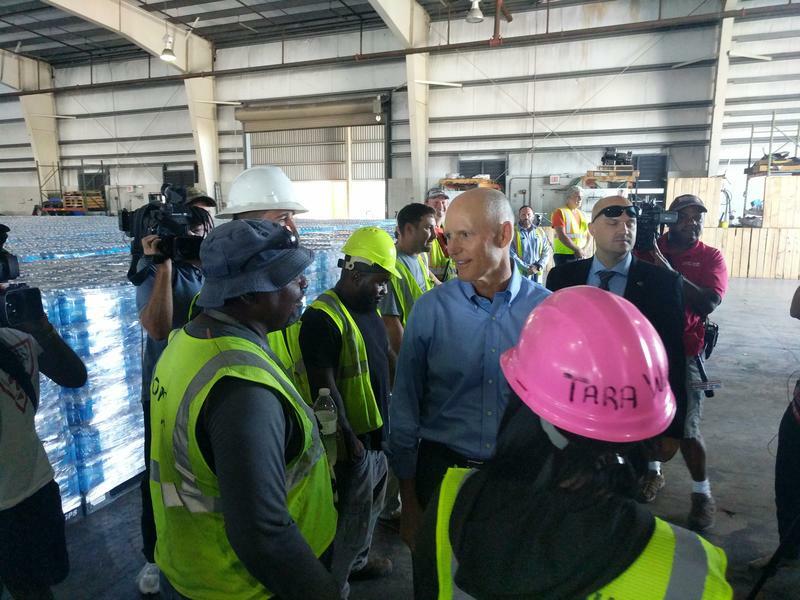 Rick Scott, Jacksonville Mayor Lenny Curry and a group of Crowley Maritime employees met at Jacksonville’s JAXPORT to discuss ongoing relief efforts for Puerto Rico. 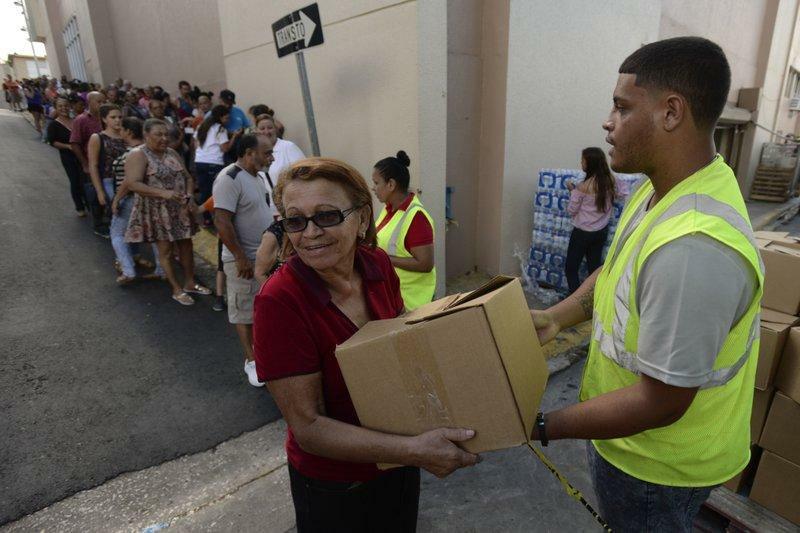 Florida stepped up its emergency-operations activities Thursday as the federal government plans to offer short-term relocation to Florida or New York for Puerto Ricans still homeless after Hurricane Maria.